Atlantic Edge is a personal game project I worked on to learn Unreal Engine and VR systems. I Modeled and animated all the assets within the game, and programmed it using Unreal Engine blueprinting. Atlantic Edge is available on Itch.io and Steam for HTC Vive. This monster was part of an Unreal Engine project. I sculpted, textured and animated the creature using Zbrush, Maya, and Photoshop. ​Sculpted in Zbrush, retopologized and rigged in Maya, textured in Photoshop. Sculpted in Zbrush, retopologized and animated in Maya, textured in Photoshop. Sculpted in Zbrush, retopologized in Maya, textured in Photoshop. Sculpted in Zbrush, retopologized and rigged in Maya, textured in Photoshop. 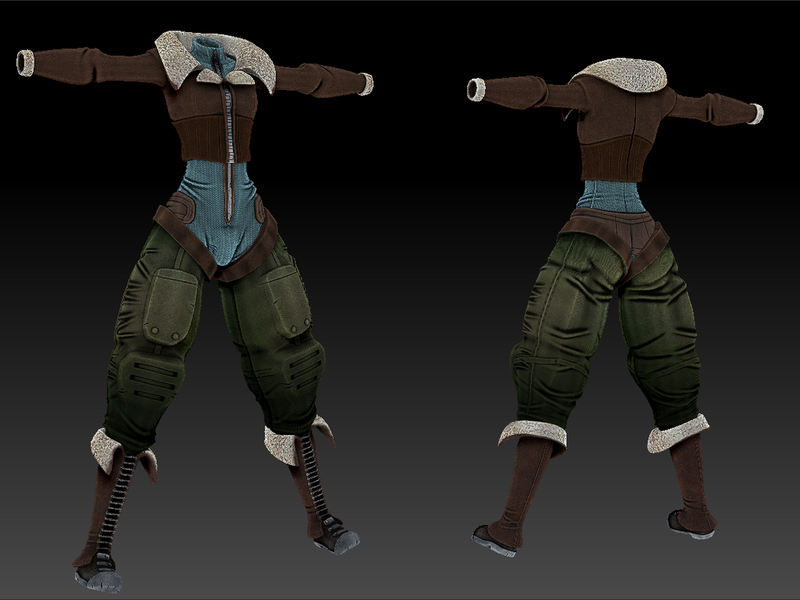 Sculpted in Zbrush, retopologized, shaded, and rigged in Maya. Sculpted and textured in Zbrush. Modeled lit and shaded in Maya. Combat animations for a Dragon Ball Z fan game project using Java, animated in Maya.